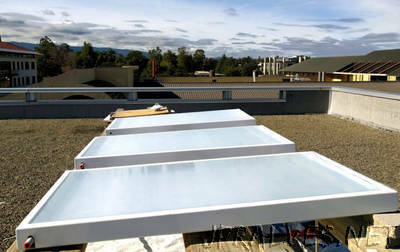 “Stanford scientists cooled water without electricity by sending excess heat where it won’t be noticed – space. The specialized optical surfaces they developed are a major step toward applying this technology to air conditioning and refrigeration. “This research builds on our previous work with radiative sky cooling but takes it to the next level. It provides for the first time a high-fidelity technology demonstration of how you can use radiative sky cooling to passively cool a fluid and, in doing so, connect it with cooling systems to save electricity,” said Raman, who is co-lead author of the paper detailing this research, published in Nature Energy Sept. 4.